You are invited to participate in our next Kansas Division meeting. Minutes from the previous meeting are available upon request for all KS Division Fencing Members. Please e-mail ksdivisionofficer@gmail.com with your full name and e-mail address if you would like a copy. All tournament organizers will be required to submit a list of officials who worked their event. We ask that the division submit the list of officials when the classification report is sent to the National Offices. 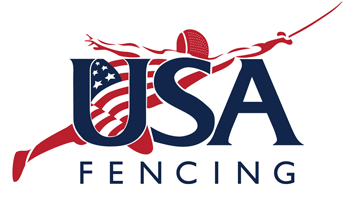 All officials are required to be background screened for USA Fencing sanctioned events. Click HERE to find out how to Qualify! THANK YOU Academy of Fencing Masters for your dedication to the sport of fencing! Interested in Fencing? Click Here for a list of clubs in the Kansas Division – USFA Area! Our purposes and objectives are: To promote, encourage, and develop the sport of fencing; To facilitate local competitions and tournaments; and To assist DIVISIONAL fencers to reach their full potential in fencing. Click Here to Find a Club in Your Area!